In our daily programming of PLC like ABB, Allen Bradley, Omron, etc. we use Mnemonic and some of the very commonly used instructions in PLC are as follows. We know we have missed many of them, so please help us to complete the list by commenting the other mnemonic in the comment section. 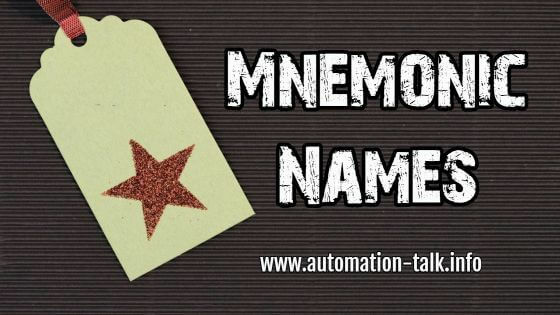 Hope you liked this simple tutorial on "Mnemonic Names". If you do, please show your love by sharing it with other and subscribing to our website. If you want more you can ask here.